Imagine taking a trip to see the spectacular views around the United States and not worrying about fighting traffic? Or what about seeing the same sites you’ve seen hundreds of times, but from a viewpoint you’ve never been able to look from before. Sounds like a fantasy, right? Well, not anymore. 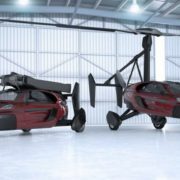 Although it seems the entire automotive universe is enthralled with the concept of developing self-driving cars, there are other engineers who have dedicated quite a lot of time working on flying cars. And while most people keep talking about the ‘Flying Cars of the Future’, they’ve never really seen the possibility. Thanks to Dutch developer PAL-V International, drivers now have access to flying cars. The company and manufacturer has officially begun taking orders for its products, the Liberty Sport and Liberty Pioneer. The Airbus group has stated that they’re developing a self-piloted flying car in order to ease congestion in busy urban areas. Their model is a flying taxi that passengers could summon, simply with the help of their smartphone. Although they are taking the development seriously, and even accepting orders, the Airbus company is still in the experimentation phase. Meanwhile, the PAL-V International is a two-seater hybrid craft which, according to the reports, currently costs $400,000. The three-wheeled vehicle is also reported to have the comfort of a car and the agility of a motorcycle on the road, with a cutting-edge, ‘tilting’ system. It can hit 100mph while on the road or up to 112mph in the air where its maximum operational altitude is about 11,480 feet. One of the most amazing features and sights to be seen is the transformation from a running car to a flying vehicle—all of which takes only five to 10 minutes. Most of this conversion process is done by the vehicle’s Semi-Automatic Conversion System, and the driver/pilot is left with simply unfolding the Liberty’s rotor blade, propeller, and tail manually. While the company attested to all these facts, they also stated that the Liberty’s operator must have both a driver’s and pilot’s license to make full use of the two forms of the vehicle. This is because the craft uses existing aviation technology, and as such, anyone legally allowed to fly can jump into the cockpit. Additionally, a 10-to-15-minute pre-flight inspection should be carried out before entering any airspace. PAL-V International’s hard work seems to have paid off as the company is said to have received interest from hospitals, government institutions, and the tourism sector. They also believe these vehicles could free up some of our government’s budget. With flying, the U.S. won’t need to pour billions of dollars into concrete bridges and roads. With these new flying vehicles, travelers will be able to cross peninsulas, lakes, and rivers to explore new destinations, and take sightseeing to a whole new level. This project seems to be something that touches both everyday drivers, as well as larger corporations that would benefit from a flying vehicle. We’ll all continue to watch as this unfolds, and begins to take some of the attention away from the self-driving vehicle phenomenon. 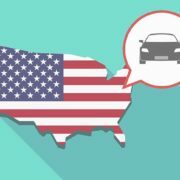 Bad news for auto repair and collision centers around the U.S.—it seems most U.S. drivers don’t trust you. According to a study done by AAA in late 2016, two out of three U.S. drivers do not trust auto repair shops in general. While the study was focusing specifically on the auto repair industry, industry experts were quick to point out that the majority of drivers don’t know the difference between auto repair and auto body, and the statistic could be applying to both. While insurers reimburse at least 70 percent of auto body business, general mechanical labor is predominantly out-of-pocket by the motorist. This could be why AAA focused its study on the auto repair side of the industry specifically, versus both auto repair and auto body. Know your current customers and where to find new ones. According to AAA, baby boomers are twice as likely than younger generations to fully trust auto repair facilities in general, with one-in-five reporting they “totally trust the industry.” When you break it down statistically, 76 percent of Baby Boomers have selected an auto repair shop they trust, versus just 55 percent of Millennials and 56 percent of Gen-Xers. It’s crucial for shop owners to continue to invest in their older, loyal customer base. However, they must also be willing to branch out into social media and review-based platforms to connect with younger customers. Word of mouth is no longer enough. Millennials and Gen-Xers want to find their businesses where they spend most of their time—on the Internet. Join a review platform and urge customers to leave feedback. With the level of mistrust found in relationships between driver and auto repair shops, it’s imperative that shops have a presence on a review platform. With com, each review is validated with a repair order, making it impossible for fake reviews to spam your account. These validated reviews give peace of mind to both the business owner and the driver. They know they are reading real reviews from real people, and can then make an educated decision on where to take their vehicle. With 78 percent of customers turning to a review site to find a business, this is a step that cannot be overlooked. Be mindful of your digital presence throughout the Web. While managing your reputation by joining a review platform is a great first step, your reputation can be made or broken in other areas of the web, too. Making sure you’re aware of what is being said about your business all over the Internet is a must. Take Yelp, for example. A recent poll on Repairer Driven News found that most auto body shop owners either looked at their Yelp page just “once in a while” or never at all. Whether you’re allowing positive feedback to go unnoticed, or negative feedback, whether true or false, to start gaining traction, you’re only hurting your business by not paying attention to what’s being said about you online. With so much information at customers’ fingertips, it is easier than ever for them to decide what shops can and cannot be trusted, and where to take their business. In order to begin repairing the relationship between customer and shop owners, the industry leaders must begin to invest in their online reputation, and provide peace of mind to their current and potential customer base. When searching for the perfect compact SUV, buyers are usually looking to be blown away in three categories: space, size, and speed. The reports are in for the 2017 Buick Envision, and all signs point to a home run in each of those areas. Road Show may have said it best when they described the Envision as “existing in a space that is neither mainstream nor luxury. Its middle-of-the-road pricing slots it into what can best be described as a near-premium segment, where everything gets a bit fancier without commanding huge prices.” With prices starting at $34,990, they appear to be right. So what is it about the 2017 Envision that has everyone drooling at the mouth? As a compact crossover SUV with luxury leanings, the Envision is available in Standard, Preferred, Essence, Premium, and Premium II-trim levels. Depending on which version is selected by the buyer, they then have a choice between a 2.5-liter 4-cylinder engine, and a turbocharged 2.0-liter 4-cylinder engine. The performance of the vehicle goes beyond the engine. This Buick is crafted to an exceptional degree of refinement, with a bold grille and jewel-like LED-accented headlamps. On the interior, the front seats are firm and supportive, and provide a wide range of power adjustment, heating, and ventilation. To top it off, the steering wheel is also heated. With plenty of legroom for second-row passengers, and the ability to slide seats to create additional cargo space, the inside of the Envision doesn’t disappoint. When it comes to controls, displays, and instrumentation, this Buick aims to impress. Items are placed where you expect to find them, and operate in an intuitive fashion. The vehicle is also equipped with Buick’s IntelliLink infotainment system, which many believe to be among the best on the market. Simple, sensible, and quick to respond to input, the Envision’s 8-inch touchscreen displays logical menu selections and clean, modern graphics. Finally, to top it all off, Buick ensures that safety comes first. Safety features and driver convenience alerts available in the 2017 Envision include: Forward Collision Alert, Side Blind Zone Alert with Lane Change Alert, Rear Cross Traffic Alert, Lane Keep Assist with Lane Departure Warning, Front and Rear Park Assist and a Safety Alert Seat, while 10 air bags and a Rear Vision Camera are standard. As 2017 is just kicking off, it appears that Buick already has a head start on some of the competition. To test-drive an Envision, head over to Quebedeaux Buick GMC Dealership. If you’ve purchased car insurance in the last few years, then you’ve likely noticed increasing rates that don’t match inflation. Unfortunately, this is likely to remain the same in 2017. As has always been the case, drivers can expect their costs to rise due to how old they are, what kind of car they drive, where they live, and their driving record. However, there are now factors completely out of a driver’s control that will skyrocket premiums, as well. According to the National Highway Traffic and Safety Administration (NHTSA), in 2016, the number of fatal traffic accidents rose by nearly 10 percent, the greatest year over year increase in the last 50 years. While that proves to be a devastating statistic, it is also a costly one for car insurance companies. As medical costs in the U.S. are continuing to rise, car insurance companies find themselves footing much heftier hospital bills than ever before. Additionally, technology found in newer vehicles has proven to be more costly to repair and replace, further hiking the costs paid by the insurance companies. In fact, the largest U.S. auto insurers have suffered from years of higher-than-expected claims. Industry wide, companies are paying $1.05 in costs for every $1 in premium revenue. Compare that to a decade ago when insurance companies were paying just 95 centers for every dollar in premium revenue. “Where a normal repair 10 or 15 years ago from an accident cost $1,500, now that same bumper with all the technology is $3,500,” President of Kulchin Ross Insurance Services Derek Ross said. Ironically, the technology often most expensive to replace is the technology meant to minimize accidents, such as driver-assistance technology and cameras. Another reason for rising costs has to do with distracted driving, specifically as it relates to drivers and smartphones. According to Allstate’s chief executive officer Tom Wilson, there is a “striking correlation” between the rise in smartphone use and crashes. The pace of premium increases has hit a 13-year high, according to data from the U.S. Department of Labor’s consumer price index. While insurance companies feel the hikes are necessary, many drivers are seeking out insurance options in other areas, especially when they feel they are being penalized for issues out of their control—which they are. New research released by the Consumer Federation of America (CFA) found that safe drivers who are in accidents caused by others often see auto insurance rate hikes. “Penalizing safe drivers hit by another car is not only very unfair; it also discourages them from filing legitimate claims. Lawmakers and regulators need to protect consumers from being punished when they’ve done nothing more than use the policy they have already paid for,” CFA’s Director of Insurance Robert Hunter said. While CFA is urging lawmakers around the country to prohibit such penalties for innocent drivers, drivers can use third-party sites such as Zebra and CoverHound to compare quotes from different insurance companies. Drivers may also look into Metromile, a company backed by billionaire Mark Cuban that has raised over $192 million to take on car insurance companies. Metromile allows motorists to pay for coverage based on how much they drive. Typically charging a flat fee of $35 a month and then five cents per mile, Metromile is setting out to be a cheaper option than traditional car insurance companies. 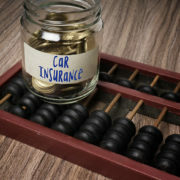 Regardless of the type of driver you are, it’s important to be aware of the rising car insurance premiums and ensure that you are receiving fair pricing to accurately reflect your level of safety on the road. It may be biased to say, but when it comes to Arizona, we seem to do everything better than the rest. The Arizona Department of Transportation (ADOT) is no exception, and their handiwork on freeway signs throughout the Valley is proof of that. One of the most important things to know about the Arizona traffic safety sign rules is that they are more permissive than most. And there is a reason behind that; regular traffic signs just don’t catch the driver’s attention. Without a little creativity, and in most cases, a whole lot of humor, most signs go unnoticed by those driving by. It is because of this reason that ADOT started an exciting campaign designed to boost traffic safety. Rather than the boring “Stay safe and buckle up” phrases, they are utilizing references to many items in pop culture that are trending at the time. 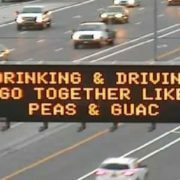 If you’ve been on an Arizona freeway recently, you’ve likely seen references to Adele, Star Wars, Pokémon Go!, and even guacamole. With creativity like that, it’s safe to say that the entire experience is designed to catch the driver’s attention, as well as stress the importance of staying safe on the road, which is the goal ADOT has set out to reach. They stress that the signs are meant to be both serious and fun. According to ADOT, the signs help reinforce the state’s Strategic Highway Safety Plan, which aims to cut down on DUIs, speeding, aggressive driving, distracted driving, failure to use seatbelts, and other bad driving behaviors. With a few jokes and simple messages, each Arizona traffic sign will be able to save lives more efficiently. As safe as we may try to be on the road, and on the freeway specifically, it’s all too easy to get distracted. With an eye-catching sign, drivers are reminded to focus on the road, all while enjoying their commute a little more. Regardless of the messages picked, one thing is for certain; Arizona drivers can admire the commitment shown by ADOT for road safety, and we can all look forward to the creative signs in April! The cities of Phoenix, Casa Grande, and Tucson make up what’s known as the ‘growing southwest megaregion’ in Arizona. Cities within a megaregion are tied together by strong links and can influence one another, even if they’re hundreds of miles apart. For this megaregion in Arizona, Interstate 10 serves as a conduit between the cities, and is heavily trafficked by freight vehicles. Carrying everything from avocados to medical supplies, the freight traffic is both necessary and taxing on I-10. From wear and tear of the road itself to placement of rest stops and fuel stations, all of this has begun to affect driver safety. Thanks to students at Arizona State University, University of Arizona, and Northern Arizona University, a new study is being done to plan for the future of freight traffic on the I-10 with a focus on efficiency, safety, and sustainability. “Hopefully, in the long run, this research will help shorten commutes, save lives, create more breathable air and find a way to pay for all of it,” Michael Kuby, a professor in ASU’s School of Geographical Sciences and Urban Planning, said. This study will focus on topics such as reaping more benefits from pass-through traffic, emerging technology called connected and automated vehicles (CAVs), and identifying threats posed to transportation infrastructure by natural and man-made hazards, to name a few. Students at the three major in-state universities aren’t the only ones taking a look at the I-10 and devising strategies to improve it. The Maricopa Association of Governments (MAG), the Federal Highway Administration (FHA), and the Arizona Department of Transportation (ADOT) launched their own study back in 2014. Their study focuses on the 31-mile freeway corridor beginning at the I-17/Loop 101 North Stack interchange in the north Valley and travels south and east to the Interchange I-10/Loop 202 Pecos Stack. This area has been dubbed the “Spine” because it is the transportation backbone of Maricopa County. In fact, more than 40 percent of all freeway traffic in the area travels over the Spine. With MAG, ADOT, and FHA completing their study, they now have recommendations including upgrading 24 of 31 traffic interchanges to widen roads and improve cross-freeway traffic, provide better technology to help communicate travel information to drivers, and improving availability and reliability for transit and carpooling, among other things. Arizona locals are urged to give their feedback on these proposed changes, and have until February 17th to do so. Simply click here for a chance to give your feedback and have it included in the study record. Beyond the major improvements happening on the I-10, the local universities are excited about the opportunity to be working alongside one another. “This is the first time we have a project between all of us, and you can see relationships and partnerships develop as we work through this. It’s going to be very exciting and very fruitful as we move into the future,” Edward Smaglik, associate professor in the Department of Civil Engineering, Construction Management and Environmental Engineering at NAU said. So whether you’re a Sun Devil, Wildcat, or Lumberjack fan, this I-10 project is something we can all be rooting for. Whether you were aware of it or not, few auto brands had a better 2016 than Buick did. In fact, according to Robert Morris III, chairman of the Buick-GMC National Dealer Council, the accolades that GMC is racking up, in addition to the new customers they are attracting, has completely changed the company from just a few years ago. A few highlights from the previous year include Buick becoming the first Detroit 3 brand to rank in the top three on Consumer Reports‘ vehicle-reliability survey. Buick also ranked number one among mass-market brands on J.D. Power’s 2016 sales-satisfaction study. Additionally, as the auto industry has experienced a push toward crossovers, SUVs, and pickups, Buick and GMC are taking full advantage of the shift. 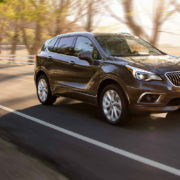 In fact, Buick alone has added three crossovers to their vehicle lineup, and GMC has overhauled the Acadia to be smaller, lighter, and more agile. The Acadia isn’t the only vehicle model getting a makeover in 2017, though. Dealers can also expect momentum when it comes to the redesigns of the Buick Enclave and GMC Terrain. When it comes to safety, GM has hit the ground running in 2017. Announcing their new rear seat reminder technology at the beginning of the year, GMC is determined to put an end to children accidentally being left in the backseat of vehicles, often resulting in their deaths. By winning awards not easily won, and putting safety and new marketing programs into place, Morris believes that GMC has become the crown jewel of General Motors. “GMC is almost the crown jewel, so to speak, of General Motors. It certainly has one of the highest brand values within General Motors. 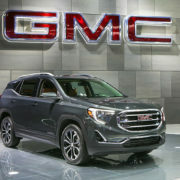 The brand equity in GMC just dominates the [hot crossover and SUV market] segment,” he said. One of those marketing programs Morris is referring to is the Essential Brand Elements program. You may have noticed your local dealers undergoing massive renovations over the last few years to fall in line with the latest protocols from the company. In fact, the Essential Brand Elements program has funneled more than $5 billion to dealers nationwide since 2009. In 2017, GM has no intention of getting rid of this program. This program has become essential to many dealers to help finance renovations and improve business techniques, all adding to customer satisfaction inside the dealership. A few new elements for individuals to look out for at their local dealership include a business development center, as well as new signs for service lanes and reception areas. If you aren’t already on the GMC train, it looks like 2017 will be the year they make believers out of everyone. On June 17, 2016, recent Horizon High School graduate Joe Smith and three of his high school friends were driving back from a post-graduation trip to California. Upon nearing Quartzsite, Arizona on Interstate 10, the boys slowed down due to an accident, when an 18-wheeler barreled into them and another vehicle. 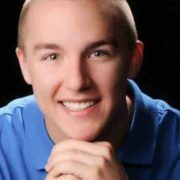 As a result of the impact, 18-year-old Joe was killed and the three other boys in his vehicle were seriously injured. In the other vehicle, 74-year-old Sun City resident Joseph Garcia was killed, and his wife Mary Lou was left paralyzed from the waist down. Seven months later, and the truck driver has not been charged with any crime. As it stands currently, Arizona law does not require that drivers in deadly accidents be given a drug or alcohol test. Steve and Tana Smith, Joe’s parents, are on a mission to change that. The Smith’s are lobbying a new bill in the Senate that would change the law in his name. SB 1054, known as “Joe’s Law” would require drug or alcohol testing for driver’s involved in crashes that cause serious injury or death. According to records obtained from a Department of Public Safety trooper, the 42-year-old semi-truck driver seemed lethargic and tired after the accident, and when asked if he was tired, he responded “yes.” However, he was not tested for drugs or alcohol. “If this bill passes, ‘Joe’s Law’ would help ensure that families who endure a tragedy like ours won’t have the added stress of forever wondering and never knowing if there were more factors that caused the crash, “ Tana Smith wrote in a post on Facebook. The bill’s primary sponsor is Senator Judy Burges, and the co-sponsors are Senator Sylvia Allen, Senator David Farnsworth, Senator Steve Montenegro, and Senator Frank Pratt. While not an official bill sponsor, Senator Lupe Contreras spoke emotionally in support of Joe’s Law. He lost his sister in a car accident when she was just 18 years old, as well. “I know what that pain is cause here I am today and I’m able to sit up there and hopefully pass this law that will hopefully prevent another family from having to endure what we have endured for so many years,” Contreras said. On January 26th, a Senate Panel approved SB 1054 on a 7 to 0 vote. The law will now move to the full Senate for action. According to Joe’s dad, Steve, simply knowing whether the driver had been impaired would make the death of their son easier to manage. “Had we known whether or not this driver was impaired, it would make this unbearable situation easier to cope with. The not knowing, because no test was done in our case, is agonizing,” Steve said. A petition on Change.org has garnered more than 2,000 signatures in support of having the law passed, and will be delivered to Senator John McCain. Tana believes that many individuals are unaware that the Arizona law does not require drug and alcohol testing after a deadly accident, and hopes that Joe’s Law will bring the flawed law to light, and ultimately change it. “I’ll do whatever I can do to change this because this is something that can affect anybody at any time,” Tana said. This will be an interesting story for the Arizona collision industry, as well as all Arizona residents, to follow in the coming months. When it comes to cars, there’s nothing like the super old or the super new. Driving away from the dealership in a new car is enough to make anyone excited. On the other hand, finding that perfect vintage vehicle on Craigslist can send adrenalin pumping through your veins. What about everyone else in the middle, though? What about the cars that aren’t nearly old enough to be considered classic, but haven’t seen the parking lot of a dealership in upwards of a decade. Worry not. We’ve scoured the Internet and compiled a list of new technology you can add to your old ride to give it an updated look and feel. If you’ve been paying any attention to newer Audi, Mercedes-Benz, and Land Rover models, to name a few, then heads-up displays (HUDs) should be familiar to you. HUDs show navigation for drivers as a transparent image projected on the windshield. Notifying drivers of an upcoming turn, it can also monitor elements such as speed, mileage, engine warnings, and more. Ranging from $100 to $300, HUDs are a surefire way to make your vehicle feel new. Is there anything more frustrating than dinging the car next to you when you’re pulling in to a parking spot? You’re sure you know your car and its turn radius well, and then Nearly every new vehicle model comes with, or has the upgrade option of parking assist. For those with older models, however, you’re now in luck. 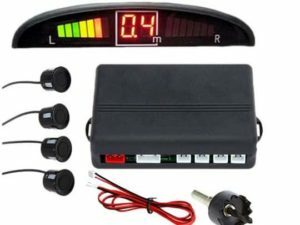 Parking sensor kits can be purchased online for as low as $20. Equipped with four weatherproof sensors and a colored LED digital display, these sensors can be easily installed at home. For individuals living in hot, desert climates, remote start systems can be a lifesaver. Gone are the days of running out to your car to start the engine ten minutes before leaving the house to get the AC pumping. With remote start systems, individuals can now download a smartphone app that allows them to start and control their vehicle right from their phone. Leading the charge on this is SmartStart by Viper, an all-encompassing tool that includes a parking meter reminder, a vehicle locator, and a programmed schedule minder that starts the car based on commuting habits. This app is also great for any parent looking to keep tabs on their teen. 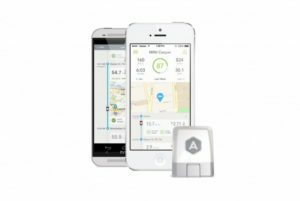 SmartStart allows you to track your vehicle’s location and speed via GPS tracking, alerts you if your car has left a certain “safe zone,” and can even put a “lockdown” on the car when your child is grounded. Backup cameras are all the rage right now. While car manufacturers insist that drivers don’t rely solely on the technology, many drivers find that the camera allows them a smooth backup without ever turning around. In fact, the National Highway Traffic Safety Administration will require rearview cameras in all new vehicles after May 1, 2018. For those with older vehicles, however, you can get all the same benefits. A quality backup camera can be purchased online for less than $150 and be easily installed, with the live stream appearing directly on your rearview mirror. Thanks to Automatic, drivers will now have access to vehicle information on their smartphone. 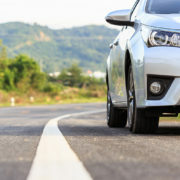 With the use of their device, which runs for $100, drivers can monitor the car’s fuel efficiency, engine diagnostics, and provide advice on how to improve in those areas. Automatic is also equipped with a scanner capable of translating engine codes into something that is understandable to the average driver, and clearing codes once the problem is resolved. While these driving gadgets may not be the same as the keys to a new vehicle, they will surely hold you over until you have enough in your bank account for the next make and model! Barrett-Jackson, The World’s Greatest Collector Car Auctions, is happening at Westworld in Scottsdale now until January 22nd. With this being the 46th year the auction has taken place, spectators and purchasers alike can expect big things from this year’s auction. As the anchor of Arizona Car Week, there are still many who don’t know much about Barrett-Jackson beyond the purchasing and selling of luxury and classic cars. So before you turn on the TV to watch the bidding begin, here are five top-level points to know about the auction. It’s about more than cars. This year, Barrett-Jackson will help raise funds for different charities supporting veterans, children and medical research. This charitable element is nothing new, either. According to Craig Jackson, the chairman and CEO of Barrett-Jackson, “to date, Barrett-Jackson has helped raise in excess of $91 million for charity.” Specific vehicles at the auction are deemed ‘charity vehicles’ and all proceeds go toward helping these charities. Noteworthy charity vehicles. Steven Tyler, lead singer of Aerosmith, will take the stage on January 20th to sell his 2012 Hennessy Venom GT Spyder. One hundred percent of the proceeds will be donated to Janie’s Fund, a philanthropic initiative created by Tyler to bring hope and healing to girls who have suffered the trauma of abuse and neglect.On January 21st, Dale Earnhardt Jr., world-champion pro stock car driver, will help sell a 1970 Chevrolet Chevelle, and a Hendrick Motosports No.88 Chevrolet SS that he raced in six NASCAR Cup Series races. Proceeds from both vehicles will be donated to Nationwide Children’s Hospital. It’s a parade of celebrities. Apart from the celebrities who will be helping with the charitable side of things, other celebrities will be in attendance, and some will be auctioning off cars from their personal collection, too. Singer Justin Bieber will be auctioning off his 2011 Ferrari 458 Italia. A 1956 Austin Princess, formerly owned by John Lennon and featured in a documentary film called “Imagine” is also on the docket. Other notable celebrity cars include Eddie Van Halen’s 1934 Ford Custom Sedan, and the original “Miami Vice” 1986 Ferrari. It’s fun for the whole family. Even if cars aren’t your thing, Barrett-Jackson offers a variety of activities that are fun for the whole family. New to Barrett-Jackson this year is arena polo, including a match for the Townsend Cup between USA and England. Other events include a Monster Energy BMX Exhibition, and thrill rides where guests can take Ford and Dodge models out onto the track for a test drive, and then switch to the passenger seat for a lap around with a professional stunt driver! 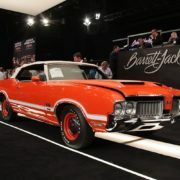 Barrett-Jackson is located at WestWorld of Scottsdale- 16601 N. Pima Road, Scottsdale 85260. Admission prices vary by day, but range from $8 to $30 for children, and $17 to $75 for adults. Door open at 8 AM daily!